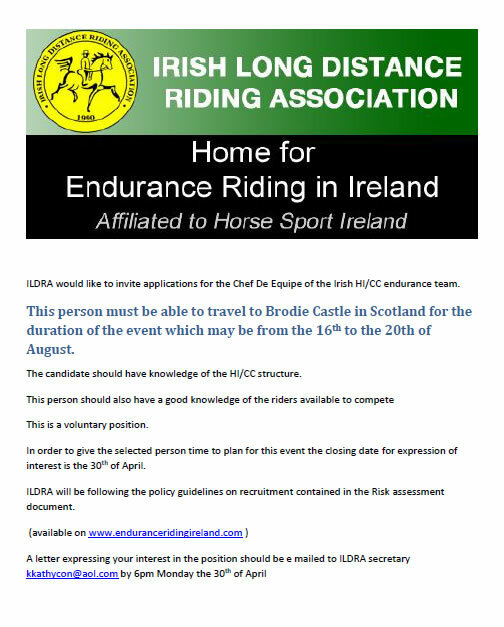 ILDRA would like to invite applications for the Chef De Equipe of the Irish HI/CC endurance team. This person must be able to travel to Brodie Castle in Scotland for the duration of the event which may be from the 16th to the 20th of August. The candidate should have knowledge of the HI/CC structure.